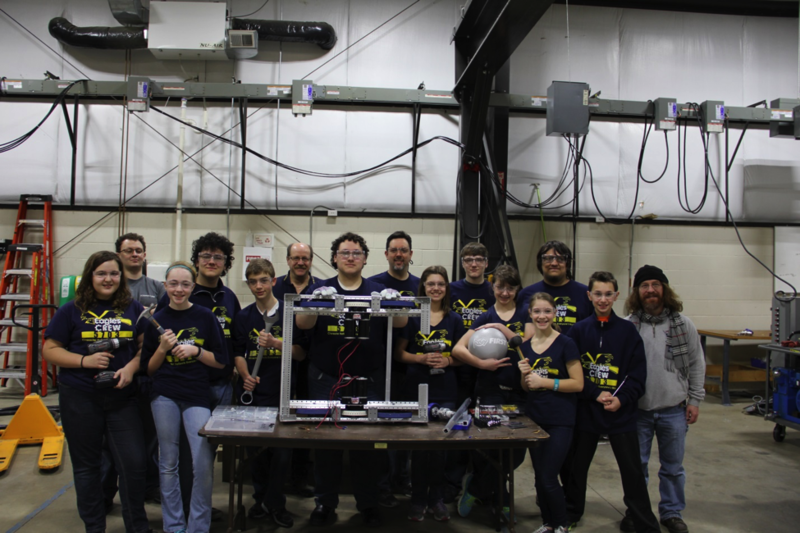 I’ve been helping out Team 5703 at the Midland Charter Academy for the past two years as a First Robotics (FRC) Mentor. For those of you that haven’t heard of it, FRC is an organization that exists to “ inspire young people to be science and technology leaders”. One of the ways they do this is by sponsoring the FIRST Robotics Competition, a very sophisticated, well-organized competition where high school students have six weeks to build a custom robot. This robot is then used to compete in a game that is unique to that “season”. The competition combines the best of the science and technical worlds with the thrill of being part of a sports team. During the competitions, high school gyms and convention centers are overflowing with students cheering their teams to victory. Since I know that many people that read this blog have technical skills, I am writing you to let you know that working with high school students and building robots is an important investment in our future and it’s also a blast! Our team is small and at the start the students had lots of enthusiasm but few “robot-ready” skills. However as the other mentors and I invest time into showing them how to do things, we’ve actually watched the skills develop and the excitement grow. Building a custom robot in six weeks is a huge time commitment for everyone but watching high school students get excited about the technology we use every day at work and cheering side by side with them when your robot is competing is amazing. It is also critical for our future if we are going to have a pool of skilled engineers and programmers to recruit from. If you have tried to fill an engineering positon recently it is obvious that there is a shortage of talented applicants. The bad news is that it isn’t likely to get better with the baby boomers entering retirement age. Programs like FRC give us our best chance to convince top students that engineering careers are can be fun as well as to help them develop real world skills that they will not get in any classroom. In today’s engineering environment it is critical that students be able to work together, exercise creativity, think critically, communicate their ideas in clear, positive ways and cooperate in multi-discipline environments in order to solve the daunting challenges of the 21st century. In addition to this, it is important that they know how to use tools and measurement instruments and understand basic components, which are skills many of them aren’t learning at home. These are the skills we can offer them. Getting this generation of tech-savvy teenagers off their devices and on to a robotics team isn’t that tough but it will take the time of people willing to share their skills. Although management of a high-tech company often requires technical skills, I now find myself spending much of my time dealing with schedules, financial reports, proposals, marketing and sales issues. FRC has given me a chance to remember why I decided to become an engineer and to develop some new technical muscle again. It’s fun to program LabVIEW, read component cut sheets and imagine again. Anyone reading this article has skills to offer the next generation of problem solvers. Please consider contacting FRC or your local high school to invest in future engineers, scientists and programmers. Over the next couple of months I’ll post some updates about First Robotics Team 5703 and let you know how our robot does in the First Robotics Competition. 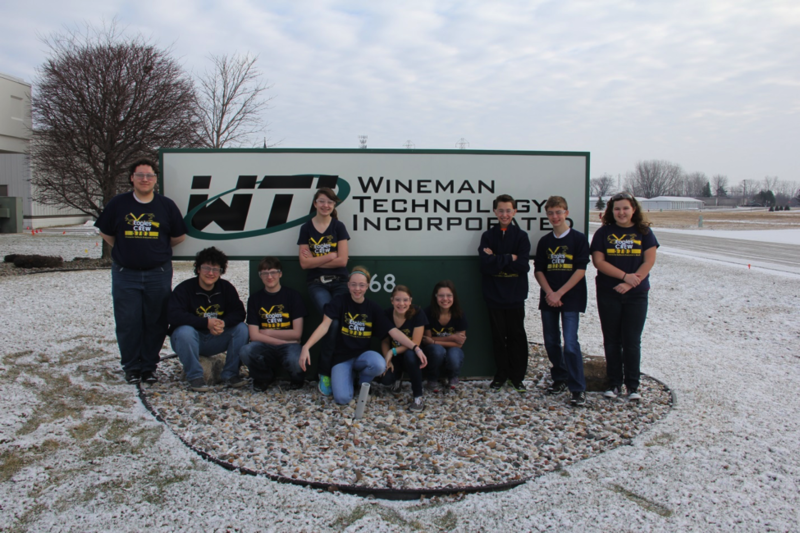 Matt Eurich is the president of Wineman Technology.